Telnyx delivers voice, messaging and IP services for applications and next-generation communications companies. "Easy augmentation and cost savings to our existing cloud telephony stack"
Telnyx has the table stakes features nailed down: call quality is great, PDD is low, number inventory is extensive and seems to be clean, costs are competitive, and reliability has been great. But where they really shine is in software and support. Their portal dashboard is leaps and bounds ahead of bigger name competitors, their APIs are sane and easy to use, and when we've had requests for additional features they've been exceptionally quick to discuss and implement. It's clearly a tight team that knows what they're doing. We occasionally see issues where termination to certain destinations will fall off. This problem is not unique to Telnyx, and I expect it's something only noticeable at scale. (We route millions of calls each month, and this is the type of problem that impacts < 0.1%.) But it's something we monitor and react to when it happens. We are a call analytics provider. We use Telnyx to provision tracking phone numbers for customers, original calls and text messages to those numbers, and terminate calls back to destination phone numbers. Right now we pass all calls to a third party service via SIP for software control, but we are nearing production deployment of a new setup that will utilize Telnyx's call control APIs. We were able to realize savings of as much as 50%, with no impact to call quality. "Telnyx - Trunking that Simply Works"
Top carrier that understands wholesale and the how to enable resellers, MSP and Hosted PBX suppliers gain competiveness ground against ILECs and CLECs when it comes to LNP, provisioning and SIP trunking. The most responsive support teams that I have know of and have come across in the industry and can understand what a SIP trace is ... and best of all the team resides in house. Really wish that we could provide a portal to end customers to allow LNP and DID search. SIP trunkink and Local number portability across North America across geo-redundant nodes in order to reduce any latency . Apart from the cost savings, support has saved us more than once add the the stability of the network and the response that we get from the support ... the savings are really enormous! The whole reason I switched was not for price. I can get channels and DID's much cheaper. The portal is what motivate me to switch. I needed a way to quickly control flows and to add connections and numbers. Their call quality is good and we have been able to work through every issue encountered. Sales & support have been very attentive to my needs and have assisted me in resolving any questions, concerns or issues I have encountered. They are progressive and a pleasure to deal with. CNAM lookups billed per lookup across all DIDs would be more cost effective vs flat rate across individual DID's. An accounting email that states the amount your account is being debited for your monthly usage would be helpful. A max spend per day per outbound profile or connection would be helpful to ensure any fraud is limited in how much it can consume. If you crave control of all of your features you will be hard pressed to find anything that comes close to Telnyx. Support has been both helpful and amazingly responsive to every issue I have ever ran into. Very good call quality and you can instantly make needed or emergency changes right from the portal. Sales & Support are ready and willing to assist whenever you need it. Failover ability. Centralized VoIP services. Easier porting process. Detailed billing. Thank you for your valuable and honest feedback. Regarding your feedback on CNAM billing, we are currently working on a mechanism to facilitate billing across all DIDs vs. a flat rate across individual DIDs. We are also working on a mechanism to support automatic emails to send your monthly usage and supporting max spend per day on the connection level as another line of defense to prevent fraud. We will keep you updated with progress on all of the items above. As always, feel free to reach out if you have any other questions or concerns. Update 6/14: Max spend per connection is now live in your portal. You can configure this in the expert settings on your outbound profile. "Technology that works well and support that knows what they are doing." From setting up the first few connections to the many systems we now have in place, Telnyx has always provided solutions and support that meet our needs. Some clients just use a line or two, others have multiple trunks/lines that support thousands of extensions. Great product, great price, great service. Haven't found anything that I dislike. If anything and that I have to add more characters to this text box, at times it takes support 2 or 3 minutes to respond. Most times they respond in less than a minute. Give it a try - if you have questions, ask. Telnyx support always seems to be available. SIP solutions for clients. SMS solutions for clients. An API to expand custom solutions for our customers. "Amazing SIP Carrier with Excellent Support"
Their price is amazing, and any issues we have are resolved very quickly. We have been working with them for almost 3 years now and haven't had many major outages or issues. We use them for all of our clients on our TLDCRM Platform. They got us up and running in almost a day, which was impressive. We had a disaster with a previous provider and they did everything they could to get us back on our feed. Came highly recommended from a client of ours! There is a separation between the systems used for Normal phone calls and predictive phone calls. Having two systems makes it harder for us as we have to create a bridge between the two to get predictive dialing working. Their predictive dialing service is also outdated and using an older version system that makes CDR report consolidation difficult. Thier price is amazing, and support is top notch. I'd recommend going with them for sure. Their new platform for CDR Reporting and organization is amazing. We use Telnyx for all our inbound and outbound calls for our clients so that we can run our TLDCRM System. It allows us the flexibility to work with a top tier phone provider and keep our clients happy and using the latest codecs and software development techniques. "All the tools you will Need!" 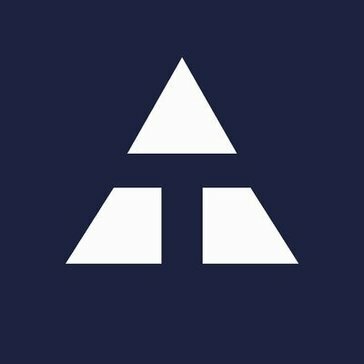 Telnyx allows small and visualized carriers or enterprise office offices to get favorable and competitive rates without committing to or having to negotiate; origination and termination commitments that can be very restricting as too cost and volume of small companies rendering them noncompetitive when competing with other major carriers. This allows for smaller companies to pursue their expertise without have to sell price. There is a learning curve for people who have been in telecommunications for a long time. The service assumes software based routing and network expertise. For legacy Telco people it is not clear how concepts map to what they know. In my views this hurts potential customers who have many customers they manage and who could become the "virtual carrier" rather than recommending the service to their customers..
View Telnyx as a partner that takes care of carrier contracts and monitors network outages. This will free you up to do what you best., without losing any competitive edge. I do primarily cyber security for communications companies, I use Telnyx for testing software and Business concepts. For instances I have a 250 room hotel on line. I reduced their telecommunication costs from an average $3300.00 per month two $550.00 per month including last mile bandwidth. No one to call or coordinate with. If you want to try something - Just Do It! SIP trunking is the best I've used across at least five providers. Service is easy to set up and is extremely reliable. I still partially use another trunk provider which has had several outages over the past few months, while Telnyx has stayed online (or has had trivial/imperceptible downtime). Price is not as good as some competitors, but I'm willing to pay a bit more for the quality. Support has always been prompt and knowledgeable, and the port team is similarly very professional. I have significantly reduced my phone bill and have increased the usefulness of my lines in the process. The debugging and reporting features have allowed me to easily keep track of errors and general call trends, which has lead to increased understand of customer trends as well as the function of my own equipment. "We have had a great experience using Telnyx"
Our Telnyx representative and the tech support staff are great to work with. Porting with Telnyx is much easier than some of the other companies we have worked with. We have never had a phone outage with our clients that use Telnyx. I wish there was a way to group clients DID numbers together other than tagging. The price is a little higher than the other vendor we use. In most cases we are able to quickly and easily port numbers for our clients. In the event we do get a porting rejection Telnyx works with us to get it resolved. I love that we can count on Telnyx to provide a stable phone service product to our clients. "First-class wholesale SIP provider with awesome support"
Telnyx has an outstanding on-net presence, with CLEC status in most of the USA and direct PSTN access to all the major carriers. I especially like their port-in process, they don't charge a fee and their porting team is very responsive. I don't often need to contact support, but when I do they respond immediately and are very diligent about following up to any issue. Least-cost routing profile tools would be a good addition. As a VoIP aggregator, we depend on our wholesale carrier providers to give our customers the best possible service. Moving the bulk of our origination traffic to Telnyx has made that job easier. "Top notch support, control, and features"
Telnyx gives us the ability to have more control over the features they offer than other carriers. It is because of that control that we are able to better support our clients. Their NOC team is an incredible resource that provides support beyond their scope in order to make sure their partners can resolve issues. Our account manager, Mark Morse, has been wonderful. He always takes our calls. He will always answer our questions even if it requires him to do a little research. If he doesn't know the answer himself, he will find it, and follow-up. Support is done through chat. Most people in our organization prefer it that way. I personally would like the option to be cable to call for technical support. We have found Telnyx to be a more reliable SIP offering. We have worked with MANY different SIP providers. At this point Telnyx is our preferred vendor. We love hearing about your great experience with Telnyx. Regarding your preference to call our Support team, you can always reach them 24 hours a day, 7 days a week at 1-888-980-9750. Customer service, usability of the website, speed, call quality. It is very easy for me to go in and make bulk changes to my numbers quickly. The website is unmatched in any carrier I've been with. The porting process has been the easiest I have ever experienced. From submitting the port, to the ability to make changes, to the actual go live. It was great. Nothing to report . I cant say there is anything to say that I dislike. Dont hesitate , just make the switch. I am saving money and time by switching very an expensive and unhelpful carrier. Porting was extremely easy to submit and fast. When the actual switch happened, my clients experience ZERO DOWNTIME. A first for me, I have worked with 3 carriers already and there have always been outages. This experience beat all! Everything just works, and when I thought it wasn't working their support team was very quick to help. Turns out the issue was on my end but they worked with me to even fix my problem. Best support I've ever had from any of my suppliers. So far, everything has met my expectations. The customer portal is always getting upgraded and sometimes I have to hunt around a little to find what I am looking for. No contracts required, just setup a pay as you go trunk and try it out. You won't regret it. They are my trunk provider for my phone service across Canada in two different phone systems. I am also looking at them to do my cross-connects to improve call quality and this also can be done directly through the customer portal. Mark Morse from the Customer Success team here at Telnyx. Regarding your feedback on navigating the portal, I would be happy to take you through best practices and show you some tips and tricks on leveraging the features in your portal. Feel free to send me an email at mark@telnyx.com and we can schedule some time whenever you are avaialble. There is not much that I can say that I don't like at the moment. I guess one item that I would like if they offered is the ability for SMS on the numbers but I realize that it is something that is coming 1st qtr next year. So we will wait patiently for that to come. Do it, start today. They are a great service provider and will provide your company fantastic support. I was trying to solve some of our telecommunications problems, bringing in more control in house versus hosting things external. They not only made that easier but provided significant cost savings. The issue we had before was the lack of ability to really control our call flow quickly and provide robust call quality to our customers as they called our company. Telnyx has provided a solid SIP Trunk solution for this in a very cost effective way, along with response customer service it has made this whole process really painless. Thanks for the review Joel! We promise SMS is coming soon. "Telnyx Solves all the SIP Problems"
I like having the ability to control the port process, spin up dial tone and manage the entire process. Plus Stellar support! Nothing! I am in love with the product and can't say enough good things about how it has simplified our dial tone process and put the control in our hands and not the big carrier's hands. No recommendations at this point. Solved all my dial tone problems from connections and ports to spinning up SIP in minutes. I have used more of the port request feature as of late and it is straight forward and easy to use. Being new to using a SIP provider, even adding phone numbers to our 3CX system has been easy. I had to call in three times in order to speak with a rep. It allows us to maintain end user numbers and provide them with even more support. Telnyx has yet to be beaten. We have had other SIP providers try to sell us but we have enjoyed the support and service from Telnyx. Mark Morse from the Customer Success team here at Telnyx. We appreciate the positive feedback! You can always reach our sales team at 1.888.980.9750 any time if you have any questions. Let us know if there is anything else we can to do improve your experience on the platform! "good product, great support, but some reservations "
Your technical support is second to none. Highly responsive with extremely qualified experts - couldn't ask for more. Our core business is over-the-phone interpreting. With concurrent calls every second and thousands of calls each day, Telnyx is mission-critical to our survival as a business. We cannot afford to be down, ever. Since switching to you, we have had several major issues creating serious service disruptions for our clients - some due to changes made on the Telnyx side without our knowledge initially. At times I question whether the reliability of your service is sufficient for a business like ours. Cost savings on calls, reduce internal infrastructure requirements, and eventually with web hooks, significantly expand the functionality of our call management system. We appreciate the honest feedback regarding your experience on the Telnyx platform. We fully understand that service disruptions are detrimental to all customers and we do everything in our power to prevent them from occurring. We notify our customers of all major changes to our platform that could potentially impact the status of our network and the traffic that running through it. Telnyx would be happy to have a more in-depth conversation with you and your team around how we can continue to work together to find a better way to prepare and communicate these particular changes and how to prevent any negative impact to your specific use case on the platform. Making mission-critical, real-time communications possible is a value that Telnyx strives to obtain 365 days a year, 7 days a week, and 24 hours a day. We hope to continue to work to ensure your experience is an optimal one on Telnyx moving forward. "A Pure SIP Carrier with a Pure Sense of Satisfying Customers"
Ease of use of the Mission Control portal, entering trouble tickets, porting and purchasing numbers to make them live and the ability to make real time changes to my DID numbers that can be tested immediately. In over a year of growing my business with Telnyx I really have not had any significant issues. Any issues I have had have either been handled promptly by the technical staff or porting group. Lowering customer costs for voice calls, speeding up implementation of new system installs. The benefit I have seen are increases in my company's revenue stream while making customers happy with the product they are purchasing from us. "Telnyx powers our technology and business"
Straight forward, honest, reliable, and seemingly always available tech support. If we have an issue with a customer's VoIP, we know that Telnyx has our back. Management of your assets in Telnyx requires a bit more thought than other carriers. DIDs are not prompted to be aligned with a particular customer automatically. You can certainly create the needed Tags on DIDs so you can easily categorize and find the right data, but you must prethink this and ensure you have it complete right from the start. Best platform for powering your VoIP Practice. Make sure you take care in your setup and you will be fine. Keeping customer's phone service always up, with all needed features and support at less cost. Thank you for the honest and valuable feedback on the Telnyx platform. We are continually improving the inventory organization capabilities in our portal and currently, our team is working on improving the bulk-editing functionally in specific. This will give you the ability to organize and bulk-edit your DID inventory to easily manage and categorize your inventory. We expect this to go live by the end of Q2. Let us know if there is anything more we can do to improve your experience on Telnyx! The SIP service is incredibly reliable, and the people are absolutely fantastic to work with! I've been involved with several dozen phone ports over the years, and Telnyx ports always happen on the day they are supposed to! I had a client once tell me that if they had the ability to control phone service like me, they would "rule the world". = ) Can't thank you enough for all you're help and patience. Would be nice if there was a way for our end users to be able to login and see reports or make other small changes to their account, without seeing our pricing, or data for other Connections. Great way to provide redundancy for phone systems, and also used for hosting IP systems. Hi Jill! We appreciate you taking the time to submit your feedback. We have a feature called 'Organizations' that allows you to add a new user by email and grant them permissions to see sections of the portal such as pricing, reporting, number inventory, etc. Feel free to email success@telnyx.com and we would be happy to guide you through how to set this up. the rates, some calls to my rate center (which is tier 1 for a lot of carriers) are fairly high, although my orig rate it decent. Port out fees are high, e911 is high. Bandwidth was much cheaper but we dropped them due to how much better the Telnyx experience is. Mark Morse from the Customer Success team here at Telnyx. We do appreciate the feedback and glad that you are looking to explore more of our API functionality. Regarding your rates, we are always happy to have a discussion on what we can do on that front. Feel free to give me a call at 1-312-270-8193 or you can reach me via email at mark@telnyx.com. The support is amazing. In the beginning I needed some hand holding and support is always right there in the interface. My old provider had virtually non-existent support so this was a breath of fresh air. Porting seems to take longer than with my other providers. I suppose this could be coincidence, but it seems on average my ports are longer. Usage reports are also a chore and difficult to make sense of. Risk free so why not give it a try? You won't be sorry! I am using Telnyx to terminate and originate for my customers using a cloud built/based PBX system. I have rolled out 4 sites with 59 more lined up for this year. The self-help portal is amazing and has really helped me get customers up and running rather quickly. "Reliable, transparent, no BS telecom. " Good pricing, good folks to work with. I have used dozens of companies telnyx is easily the best integrator we have worked with. Not much, Wish they had a more robust faxing platform. Good pricing, the value they add is well worth using them over going direct with L3 or Bandwidth. Even at scale. Low cost VOIP platform with good third party support. "Telnyx is great for my call centers." I've had little issues with using Telnyx. I have been using them now for about a year and I can say the call quality and easy of their portal has been excellent. Very little. Hard to pick as they actually answer the phone and you cant beat that. Call them, they are extremely helpful. We save thousands on our phone by going through Telnyx, and I am able to provide quality services to other clients for VOIP. "Great Solution for growing businesses"
Very easy to use, pricing is reasonable. I prefer telnyx over twilio for selecting phone numbers as they have much more flexibility in search features. Bulk searches, premium numbers etc. Billing was a little complicated, I'm still not sure if I was billed properly. Trying to buy both Telephone numbers and SIP trunks for my growing business. Thanks to telnyx, I was easilly able to buy a block of 20 numbers which will serve me well as my business grows. Thanks David. I believe someone already reached out to you to answer any of your billing questions. Let us know if there's anything else we can assist with! "Best functions at my fingertips"
Nearly everything I could possibly need is right in the portal and they are adding new features I never ever thought of all of the time. The main complaint I have with the portal is that it does not necessarily represent my pricing based on contract rates and the live portal is glitchy sometimes (requires multiple button press attempts). If you need a fast and easy way to provision numbers and get service quickly, this is the service for you. Instantly provisioning numbers and routing calls right from a web browser. No follow-up necessary. I like the user portal which makes it easy to add new DID's, adjust routes, setup failovers, etc. Occasionally I cannot find a DID for a small town or city where we are expanding. High AT&T bills. We have cut our phone bills in half by moving to SIP. The support team is amazing and responsive! I was given a task that I had no idea how to complete and wasn't even completely sure how to start. I found Telnyx while searching for the answer, and was able to speak with a real live human on the phone as opposed to a bubble in a chat room (but if you like chat bubbles, they have those too). Nothing yet. So far, all my problems were related to my inexperience with SIP and VoIP. I docked the "ease of setup" a point because of my inexperience, not because of the software. Had I been more experienced with the core concepts, I'm sure I would have said, "Oh, yeah -- that's where this goes." I wouldn't suggest jumping into it blind (like I did) but if you do, call support! They know what they're talking about and, best of all, they're responsive enough to trace through the problems I was having in real-time. We had an existing call service that needed E911 capability, but we didn't know where to begin. With the help of Telnyx, we were able to integrate our existing service with their services to provide us with the capabilities we required. We don't have impact data yet, but this feature opens doors for our product. I’ve been a customer of Telnyx for several months and not only do they offer 24/7 support but their platform is top notch as well. I never had an issue with them and their team has always been helpful. I can’t think of anything I don’t like about this company except for now finding them months earlier. I’m able to reach a high percentage of my subscribers via SMS and noticed a huge increase in subscribers response. Easy to work with ... very attentive to any concerns customers have. When my company need a custom solution/pricing to make it "work" they were there to help. Telnyx has an overall great product. There is nothing to dislike. Great pricing ... well suited support team ... awesome product!!! My business needed a stable vendor platform for our customers and a vendor that not only listens to the concerns, but works to alleviate any that exist. Telnyx fits this bill perfectly. "A team to get things done"
The support telnyx provides leaves the competition in the dust. Responsive and a pleasure to work with. I really don't have anything bad to say. The team has always been there for us when needed. We rely on Telnyx for termination and number origination. Troubleshooting is always something that comes up in any technical endeavor, theTelnyx team has made this process easy, fast and painless. "Best IP Address Phones Around"
As a real estate investor, good repeating phone numbers are critical and Telnyx has the best numbers around. I have around 20-25 of them and would recommend Telnyx to anyone needing great numbers. Any issues I had have been resolved for the most part. I work with Jessica (my contact) and she is excellent at taking care of any concerns I have. Do it. It works great. Business problem for real estate investors is having a lot of different marketing metrics and having good phone numbers to have on different marketing campaigns is extremely beneficial. "I would happily recommend Telnyx; everyone there (Brent, Jessica especially) is so helpful." Telnyx has the most responsive live chat feature I have ever experienced. If I need help, I simply click on the live chat button and help arrives nearly instantaneously! Their user portal is so easy to navigate and use compared to other carriers I have used in the past. Their pricing is very fair and they seem to regularly monitor my account. The reporting functionality is also very good and easy to use. I am very happy with our decision to move our traffic to Telnyx. We did have some trouble with calls going through, but found once we transferred to the SDC portal, the problem was solved. This was due to a heavy volume of short duration calls on our part. I have comparable pricing for my long distance in a heavy user call center environment, and without the expensive loop charges and base pricing of other more enterprise type carrier structures. Well setup portal. Solid services. Fair pricing. I have not run into any issues at this point. The support team has been very responsive. I've used all of the wholesale voip providers over the last 14 years. Telnyx is definitely a top tier value. High capacity voice termination and DID origination. Up time has been good. The user panel is feature rich. Support is knowledgeable and easy to work with. The system is not able to alert you when a sip trunk is down. Good service. Good price. Good support. We have cut typical bills in half. Call quality and support is good. Thank you for your detailed feedback on the Telnyx platform. Regarding your feedback around alerting, we are currently developing a notification system that will alert you when a trunk is down, if we see obscurities in your traffic, etc. This will be live by early June. We are also glad we have been able to cut your bills in half. Thank you for being a valued customer of Telnyx. White labeling and full access api. Cooperative support and development team. Many features with more constantly being developed. Complete phone system. Full control panel with user options. "Great service and superior quality"
They are very willing to help you with any questions and do anything they can in their powers to make it happen. There is nothing to dislike about Telnyx. Being a small ITSP start up we have challenges with gaining superior quality voice termination and origination and Telnyx has been a great partner and we look forward to furthering our partnership in the years to come. "Very quick and simple to use"
I enjoy the automation behind it and the ability to chat with someone on the site if needed. I honestly like everything within Telnyx. Not sure on any issues. I have setup some automation with Telnyx for mobile applications, desktop applications, and other needs with Telnyx's API. We also use Telnyx as an upstream SIP provider. i like the support and services. for example i need to increase current channel and i just made request over the chat and it got increased. its not about dislike but rather i would suggest that you can make changes in admin panel for more user friendly. i was facing issue with my existing provider to connect calls for Canada and it was fine with USA. Now i moved with Telnyx and that problem has been resolved . I'm glad to hear that our Customer Success team has been very responsive to your needs! Are there specific user-friendly features that you were thinking about that we can take into consideration, per your comment? Thank you. At this point there is nothing that I would say I dislike. "One of the best VOIP businesses out there "
Really, I can't think of anything at the moment. I'm trying to launch my own VOIP business and Telnyx has been my service provider. I love how quickly my questions are addressed. The flexibility of DID search and that the company is small enough to make accommodations! Limited availability but growing quickly. Flexible DID sourcing and connection. telnyx had met or exceeded all my expectations. "Great Service. Easy to Manage." The control panel is easy to use and the VOIP service is top notch. DID selection isn't always 100%. Hardly a deal breaker. We needed a flexible IP telephony solution that was scalable and affordable. Telnyx delivered. Thank you for the feedback on the Telnyx platform! Our DID inventory is something that we are always expanding to provide our customers with the best selection as possible. If you are ever having issues finding the numbers you need, please reach out to our NOC team via the live chat functionality in the portal and they can work to get you the numbers you are hoping to purchase. Initial customer service and willingness to help with follow up. Nothing has been short of excemplary customer service to date. Single source SIP with ease of use and uncomlecated billing. "Telnyx A Flexible Phone Service Provider"
Great service, very reliable and support is fast! Optimizing phone lines and streamlining billing for my clients. SMS is coming soon! Thank you for the review. Mark Morse from the customer success team here. Thank you for your honest feedback in your review. We are re-vamping our notification process this quarter and notifying you when your connection is down is on the top of the list for that project. For porting, you can always email our porting team at porting@telnyx.com to reach them directly vs. responding via the portal. You can always reach me at mark@telnyx.com if you have any further questions! So easy to use Telnyx's dashboard environment. It let's me be in control of things. Support is amazing and caring. I have found Telnyx to be easy to use and I have not disliked much. Working on a messaging solution using Telnyx. "Positive and easy to use"
* We monitor all Telnyx reviews to prevent fraudulent reviews and keep review quality high. We do not post reviews by company employees or direct competitors. Validated reviews require the user to submit a screenshot of the product containing their user ID, in order to verify a user is an actual user of the product. Hi there! Are you looking to implement a solution like Telnyx?